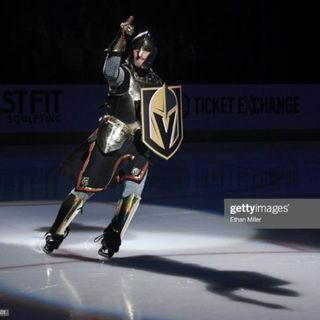 Jesse Granger joins the show to discuss the Vegas Golden Knights, and their ups and downs in Year 2 in the NHL. Topics discussed include how the team is balancing expectations as they get weaned off last year's high (3:00), how George McPhee will approach the trade deadline (17:45), why Nate Schmidt is the picture perfect modern day defenseman (28:10), Marc-Andre Fleury's alarming usage (35:30), why Vegas is thriving as a hockey market (46:30), and the winners and losers of the ... See More recent Charlie Coyle trade (55:50). A reminder that we’re hosting a daily fantasy listener league contest over at FanDuel every Thursday this season. While you wait for the next opportunity to play to come around, go over to fanduel.com/PDO and tell them we’ve sent you. They’ll hook you up with a bonus $5 to play with after your first deposit, which will surely come in handy throughout the year. See you there!